The Japanese Super Mario Odyssey Twitter account continues to drip feed information about the upcoming Labo VR update due out on 25th April. As previously established, this new update will also add three new mini-missions to the game, where you collect coins and musical notes while revisiting the Cap, Seaside and Luncheon Kingdoms. The latest screenshots also suggest you'll be tasked with gathering up musical instruments and delivering them to characters in the game. 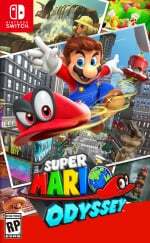 Are you looking forward to playing the Super Mario Odyssey VR update? Will you be picking up the Labo VR Kit later this week? Tell us below. I will definitely be getting the VR kit and can't wait to see what all they do with it. Very excited for the BotW update as well. Like a wise man said once, Pauline in VR, i'll take three. I was already planning to pick up Labo VR before the SMO and BotW updates were announced. This makes me even more excited to try it out. Hopefully it sells well enough to convince Nintendo to do more with VR. Yes, I love seeing Pauline's form in VR! A theater? This would be an awesome update for any Switch game! Let us have a giant virtual TV we can use when someone else is using our real TV! 25th, eh? That's awfully coincidental. Also, PLEASE let us take a guitar to Guitarist Rosalina!!! 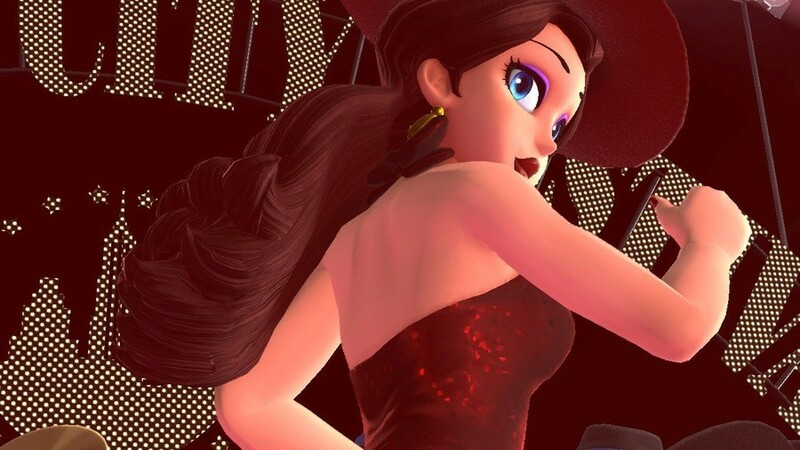 Pauline looks bloody gorgeous in that screenshot. People seem to forget that Virtual Reality needs high resolution displays to provide a great VR experience. We had VR goggles for Samsungs mobile phones and people were quite unimpressed with it due to clearly being able to see the pixels and Samsungs phones had 2K resolution OLED screens already during that time period and now Samsung has given up on VR. The Switch screen is only 720p and while it's fine on that size screen in handheld mode when you keep an average distance from the screen of roughly 30cm. It becomes an entire different matter when the screen is going to be split in two for VR and magnified via the goggle lenses. It will be one blurry pixelated experience that will quickly give you a headache when used in longer sessions. Does the VR have a full 3D effect or is it just 2d first person? @Jeronan It's a £30 VR toy. No-one is expecting Oculus-quality results. I'll probably give this a try sometime. Once Labo as a whole becomes much cheaper. Still don't think this stuff is worth as much as they're selling it for. But once it becomes a more REASONABLE price, I might give at least the VR set a chance. @Jeronan The pixel density on the switch isnt teh best one! I have lots of VR headset here and I must say that I have no high hopes for the image quality. I will wait for a cheaper chinese headset to toy with zeld, but I am sure I will not be blowed away. @Moonlessky Honestly that's still a bit too much for me for what is essentially cardboard. The amount of time I'll probably end up using it would not justify a $40 price tag for me personally. I appreciate the input though! Pauline in the thumbnail? You've got our attention. @chardir So was the Galaxy VR headset from Samsung, that with it's phones offered more than double the resolution due to its 2K OLED displays. I have even tried the "real" VR headsets like the Oculus Rift and HTC Vive and was not impressed with those either. Hence, why I never invested in one. Have fun playing Zelda BotW with a 300x200 resolution per eye lol. It will look like a mess. Can't wait for the reviews and first impressions. It does seem like some are letting their imaginations get away from them, wrapped up in the idea of VR BotW and calling people who point out the screen quality or the fact that the headset is cardboard you have to hold "haters" or "against the future." VR BotW would be cool, but being skeptical is somewhat reasonable for several reasons. The interest in this waned as soon as someone pointed out it doesn't use a headstrap for motion control, so you're just holding it up like a ViewMaster. Ugh. Note that I don't mean people shouldn't be excited to try Labo VR. They're not wrong to be excited. But this is one area where a reasonable human being who is not a "nintend00med h8r" could be skeptical. Of course, seeing shirtless VR Mario in a terrifying pixal nightmare world would be an experience by itself.